We all know that Indian women are beautiful, stylish. They have a great fusion of style and elegance. This article talks about the 5 most stylish Indian women. Read this article attentively. If you follow them, then you might look standalone from the crowd. So, let’s get started and be more stylish. Sushmita Sen : Not many Indian women can carry the title ” beauty with brains ”, but Sushmita Sen does. She was the youngest Indian “Miss Universe.” She is a great symbol of style and elegance. You will be surprised to know that sometimes she goes out without any make up. You see, how confident she is about her look and style. Another astonishing fact about her is that unlike many women she can handle both family and her career very nicely. She is like a style icon in India. Anoushka Shankar : If you like music, then you must have heard of world famous sitarist Pandit Ravi Shankar. Anoushka Shankar is the daughter of him. She is a perfect example of talent and style. Very few women have talent and style like her. Like her father, she is also very popular in India and all over the world. She dresses elegantly rather than copying the trend. This makes her look gorgeous. Nita Ambani : Ambani is a very famous surname in India. 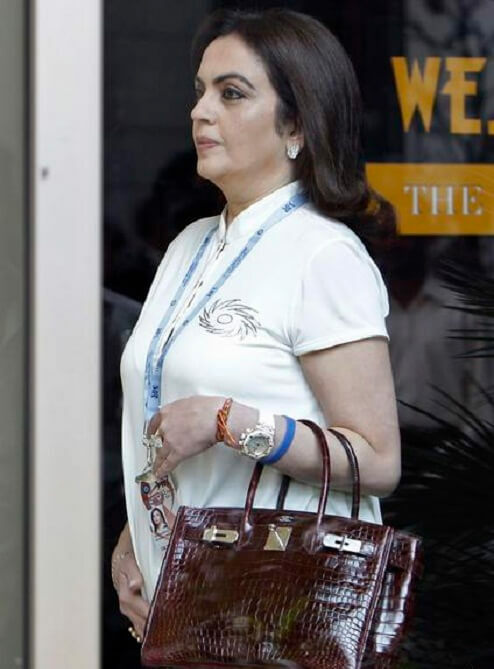 And when it comes to style, you can’t keep Nita Ambani away from it. She is stylish, gorgeous. She knows what she wears. She looks confident with her outfit. You may not know that she is the owner of one of the most expensive homes in the world: Antilia. Unlike many super rich women, she participates in many philanthropic activities. You see, she has a very big heart. She is a middle aged woman and never wears weird dresses that don’t look good with her. Aishwariya Rai Bachchan : If you are an Indian, then you must have heard of Aishwariya Rai Bachchan. She is extremely popular in India. In fact, she has been an icon in India for years. The journey of this beautiful lady started in 1994 when she won the “Miss World” title. Since then she has been blessed with incredible success. According to Time Magazine, this stylish woman was one of the 100 influential people in the world. She has a perfect sense of dressing. She is like a queen in Bollywood industry. Heard of Amitabh Bachchan? Ash is the wife of his son Abhishek Bachchan. Like Sushmita Sen, she is “beauty with brains.” Ash is equally successful in real and reel life. Sonam Kapoor : She is very young but successful. Very few young Indian women have stunning style like her. Sonam Kapoor looks classy, stylish, and gorgeous. Every time you see her, she looks different, more beautiful than the last time. She is the daughter of Anil Kapoor a very well-known actor in India. Though Sonam has not been very successful in film industry yet, she is a fashion icon in India. Boys like her and girls want to be like her.